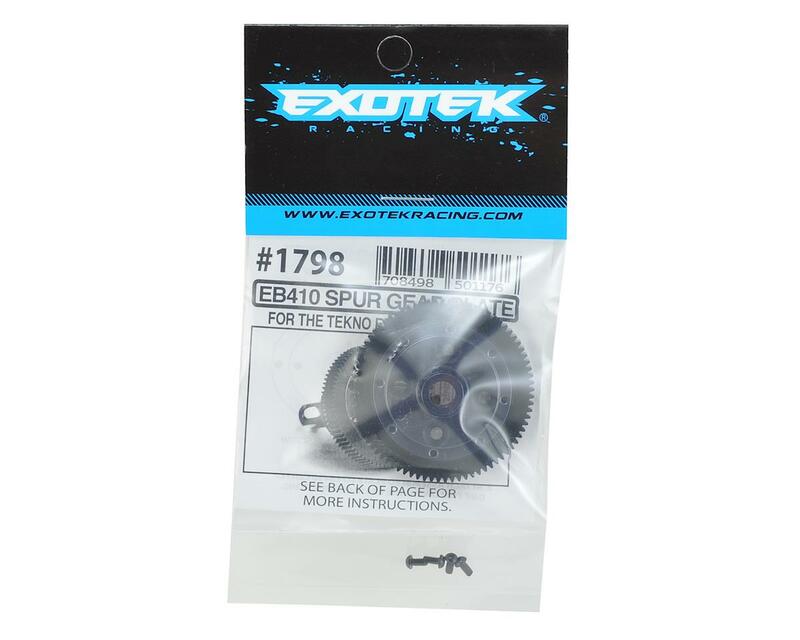 The Exotek EB410 Machined Spur Gear & Mounting Plate features a heavy duty, machined spur gear and an alloy mounting plate that fits the stock EB410 center gear diff perfectly. The machined delrin spur gear is much stronger and reduces the chances of stripped gears. The 2 piece design also makes for quick and easy spur gear changes because you do not have to open the gear diff and remove the outdrive, or refill the oils etc. The alloy mounting plate also helps to dissipate heat from the diff fluid for more consistent diff action. 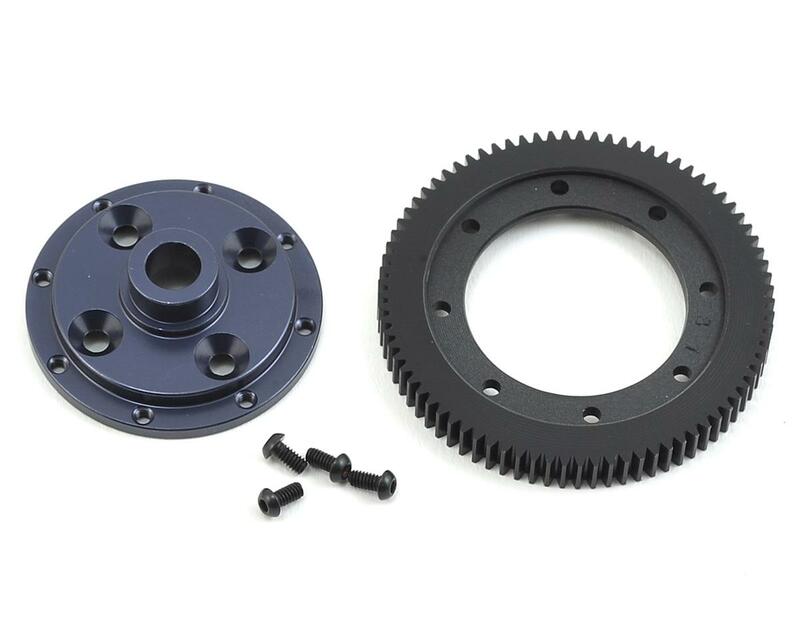 An 81t spur gear is included and the alloy mount also works with the optional 72T spur (EXO1498). Package includes machined 7075 mounting plate, spur gear and hardware.